It was certainly a tumultuous week for Daniel Cormier. From preparing for the biggest fight of his life against Jon Jones to wondering if he’d even compete on the card and then ending up being relentlessly booed by fans at UFC 200 when he chose to ground legendary striker Anderson Silva to win a unanimous decision in a short notice fight, Cormier certainly is glad that it’s all over. But that doesn’t necessarily put an end to the turmoil surrounding him. It was revealed that Cormier had to take a pay cut to face Anderson Silva at UFC 200. Cormier’s purse was originally set to be $1 million to face Jones and was slashed in half to $500,000 with the opponent switch after Jones was pulled after testing positive for two banned substances in a June 16 drug test administered by USADA. Although Cormier didn’t complain about it publicly, Jon Jones’ manager feels that Cormier received the short end of the stick and deserved to make just as much as he was originally set to receive, if not more. But all Cormier can do is look forward instead of thinking about what could have been. And looking forward includes leaving everything, including Jon Jones, in his rear view window. Cormier expressed how taxing the feud with Jones has been with SiriusXM’s Luke Thomas. 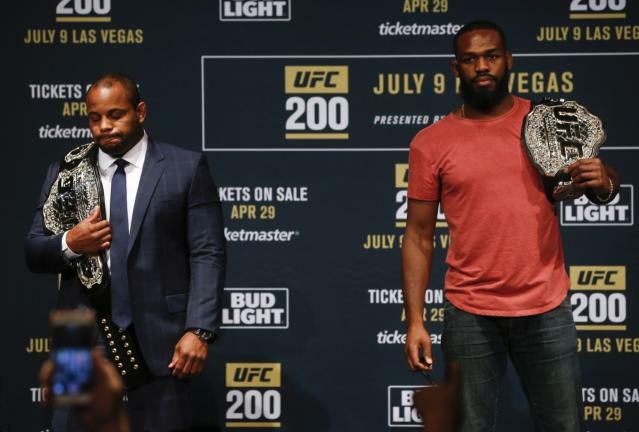 No matter what happens to Jones, Cormier is prepared to put the Jones beef to rest and is ready to seek new challenges as the UFC light heavyweight champion. And he doesn’t need Jones to validate him any longer.